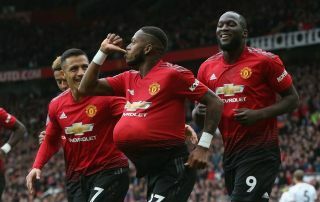 Manchester United midfielder Fred has revealed his mixed emotions today after scoring his first goal for his new club, but having also been held to a 1-1 draw against Wolves at Old Trafford. The Brazil international joined United from Shakhtar Donetsk this summer and has had a fairly slow start to life in England, though he looked more confident today with some good passing early on and a well-taken goal to open the scoring. Still, taking to Twitter after the match, Fred admits he was disappointed at the side dropping two points as they fell further behind their rivals. I’m very happy to score the first goal for @ManUtd , but disappointed for the draw as everyone else. This means United have won only three of their first six games, drawing today and losing two others to Brighton and Tottenham earlier in the season. Liverpool are setting the early pace with six wins out of six at the start of this season, so United have real catching up to do in the title race. Fans will hope their big-name summer signing Fred can now improve his form and help the club climb the table.